What are the stages of sepsis? Why are there so many diseases with "sepsis," "septic," "septicemia," or "blood poisoning" in their name? Is sepsis contagious? How long is the incubation and/or contagious period for sepsis? What are sepsis (blood poisoning) symptoms and signs? How do health care professionals diagnose sepsis? What types of health care professionals specialize in the treatment of sepsis? What is the prognosis with sepsis? What are the complications of sepsis? Is it possible to prevent sepsis (blood poisoning)? What are some additional sources for information on sepsis (blood poisoning)? Sepsis is a potentially life-threatening medical condition that's associated with an infection. There are three described clinical stages of sepsis. The major diagnostic criteria for sepsis are altered mental status, increased respiratory rate, and low blood pressure. Sepsis itself is not considered to be contagious. Although the first health care professionals to treat a patient with sepsis may be a primary care, pediatric, or emergency-medicine specialist, critical care specialists, hospitalists, infectious disease, and lung (pulmonologists) specialists are usually consulted to help treat sepsis; infrequently, a toxicologist or surgeon may also be consulted. 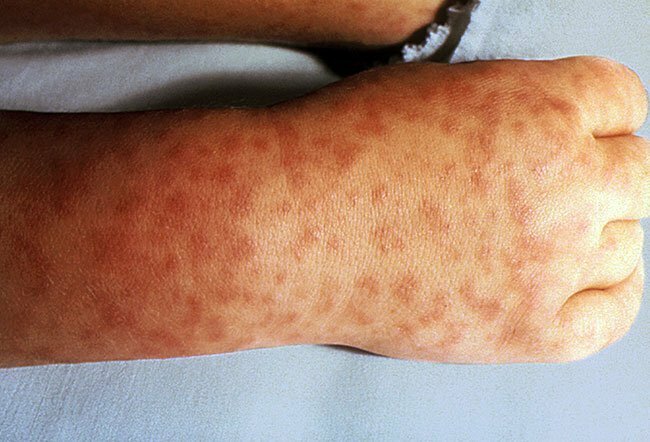 Blood poisoning is a nonspecific term used mainly by nonmedical individuals that describes, in the broadest sense, any adverse medical condition(s) due to the presence of any toxic agent in the blood. Usually, the layperson using the term blood poisoning is referring to the medical condition(s) that arise when bacteria or their products (or both) reach the blood. Blood poisoning is not a medical term and does not appear in many medical dictionaries or scientific publications. However, when it is used, the correct medical term that most closely matches its intended meaning is sepsis. Many medical authors consider the terms blood poisoning and sepsis to be interchangeable, but the trend in the medical literature is to use the term sepsis. Neonatal sepsis is any infection involving an infant during the first 28 days of life. Neonatal sepsis is also known as "sepsis neonatorum." The infection may involve the infant globally or may be limited to just one organ (such as the lungs with pneumonia). Patients who meet the above criteria likely have sepsis and are also termed septic. Blood tests are no longer required for the diagnosis. Essentially, patients who show two of the three criteria listed above are considered likely to be septic according to studies that led to the new criteria as part of the sepsis campaign to simplify and speed sepsis diagnosis. The term QSOFA (quick sequential organ failure assessment) represents a scoring system that gives one point to each of the three symptoms listed above; if the patient score is two or greater, the patient is likely to have sepsis according to the Third International Consensus Definitions Task Force. Because sepsis is so serious a problem for the patient that usually requires emergency treatment, the goal of the task force was to simplify the criteria used to determine the likelihood of sepsis in an individual patient quickly. These criteria may continue to be modified by other medical groups. For example, pediatric groups use somewhat different criteria for children. Other groups want to add other criteria. As stated by the 2016 group that produced the newest definitions, they consider definitions still as "a work in progress." Terms that are often used in place of sepsis are bacteremia, septicemia, and blood poisoning. However, bacteremia means the presence of bacteria in the blood; this can occur without any of the criteria listed above and should not be confused with sepsis. For example, you can brush your teeth and get bacteremia for a short time and have no SIRS (Systemic Inflammatory Response Syndrome) criteria occur. Unfortunately, septicemia has had multiple definitions over time; it has been defined as bacteremia, blood poisoning, bacteremia leading to sepsis, sepsis, and other variations. Although septicemia appears frequently in the medical literature, a reader must be sure which definition the author is using. Some experts suggest the terms blood poisoning and septicemia not be used since they are poorly defined, but it is difficult for the medical community to disregard such terms that have been used for many decades for these mainly bacterial disease-related problems. Some medical researchers consider sepsis to have three stages. The first stage is the least severe and usually has symptoms of fever and an increased heart rate. The second stage is more severe and is characterized by symptoms of difficulty breathing and possible organ malfunctions, while the third is the most severe stage (septic shock or severe sepsis) with life-threatening low blood pressure. Not all researchers agree with these stages; some researchers choose not to consider sepsis in stages. There are many more examples of linking terms to sepsis (for example, AIDS, tattoo, spider bite). Occasionally, terms like hemorrhagic septicemia are used to describe a symptom (internal bleeding) or a sign like neutropenic cells (low number of white blood cells) that may occur with sepsis. The trend in medicine currently is to decrease the use of the terms septicemia and blood poisoning in favor of the terms sepsis or septic, because sepsis is defined most concisely. The majority of cases of sepsis are due to bacterial infections, some are due to fungal infections, and very few are due to other causes of infection or agents that may cause systemic inflammatory response syndrome. The infectious agents, usually bacteria, begin infecting almost any organ from any location (community-acquired or hospital-acquired) or implanted device (for example, skin, lung [pneumonia], gastrointestinal tract [bacterial penetration or ruptured intestine from trauma], surgical site, intravenous catheter, etc.). The infecting agents or their toxins (or both) then spread directly or indirectly into the bloodstream. This allows them to spread to almost any other organ system. Criteria result as the body tries to counteract the damage done by these blood-borne agents. Common bacterial causes of sepsis are gram-negative bacilli (for example, E. coli, P. aeruginosa, E. corrodens, and Haemophilus influenzae in neonates). Other bacteria also causing sepsis are S. aureus, Streptococcus species, Enterococcus species and Neisseria; however, there are large numbers of bacterial genera that have been known to cause sepsis. Candida species are some of the most frequent fungi that cause sepsis. In general, a person with sepsis can be contagious (for infectious causes like bacteria and fungi, for example), depending on the aggressiveness of the infecting organism, so precautions such as hand washing, sterile gloves, masks, and clothing coverage should be considered depending on the patient's infection source. However, most researchers suggest sepsis itself is not contagious but is a condition that can develop after one of many types of infectious agents invade the bloodstream. An incubation and/or contagious period cannot be assigned to sepsis itself; the particular organisms that may lead to the development of sepsis have their own individual incubation and contagious periods that vary depending on the organism. In most cases, it is fairly easy to ascertain heart rate (count pulse per minute), fever, or hypothermia with a thermometer, and to count breaths per minute even at home. It may be more difficult to prove a source of infection, but if the person has symptoms of infection such as productive cough, dysuria, fevers, or a wound with pus, it is fairly easy to suspect that a person with an infection may have sepsis. However, determination of the white blood cell count PaCO2 (carbon dioxide levels in the blood) and acidosis (measurement of low blood pH) is usually done by a lab. In most cases, the definitive diagnosis of sepsis is made by a physician in conjunction with laboratory tests. Elderly patients have similar symptoms to those stated for adults, but the first apparent symptoms are often confusion along with chills, weakness, possibly faster breathing, and a dusky skin appearance. Pediatric patients (infants, toddlers, and children) also may develop similar symptoms to those in adults, but the most common symptoms are fever and reduced urine output. Children may show signs of lethargy and decreased age-appropriate mental status. Neonatal sepsis (sepsis neonatorum) is suspected in neonates up to 28 days old if the rectal temperature is 100.4 F or higher. Other signs and symptoms for neonatal sepsis include fever in the mother (possible puerperal sepsis due to infection in her reproductive tract) at time of delivery, cloudy or smelly amniotic fluid, abnormal vital signs, seizures, and projectile vomiting. Some authors consider red lines or red streaks on the skin to be signs of sepsis. However, these streaks are due to local inflammatory changes in either local blood vessels or lymphatic vessels (lymphangitis). The red streaks or lines are worrisome as they usually indicate a spreading infection that can result in sepsis. Septic shock is a condition in which overwhelming infection causes a dangerous drop in systolic blood pressure (hypotension). Additional symptoms that may accompany the low blood pressure associated with septic shock may include cool and pale extremities, dizziness or lightheadedness, low or absent urine output, shortness of breath, rapid heart rate, behavioral changes, and low or high body temperature. Clinically, the patient needs to fit at least two of the diagnostic criteria listed above and have a suspected or proven infection. This is a screening tool to help health care professionals presumptively diagnose sepsis early in the disease process. Definitive diagnosis depends on a positive blood culture for an infectious agent and at least two of the criteria. However, other helpful tests depend on lab analysis such as white blood cell examinations, procalcitonin levels, and PaCO2. These tests, like blood cultures, are measured in clinical laboratories. Researchers are currently investigating other blood tests to diagnose early sepsis. In addition, other underlying causes for sepsis are often established by using CT imaging studies, MRI, ultrasound, and chest X-rays. Sometimes it's difficult to differentiate between underlying causes of sepsis and other emergency medical problems. Consequently, it is not unusual to run cardiac studies to rule out heart disease on patients that may also have sepsis since some of the symptoms are similar. In 2017, the U.S. FDA approved a diagnostic test that can aid the diagnosis of sepsis and, in the same test, identify many of the common bacterial causes and their susceptibility to antibiotics about an average of 42 hours faster than current tests. The blood test, Accelerate PhenoTest BC kit, made by Accelerate Diagnostic, may allow a more rapid and specific diagnosis and provide information about treatment options (antimicrobial drugs) to treat the causative agent(s) of sepsis early and more effectively. The test can identify the genus and species of common Gram-positive and Gram-negative bacterial infections that can lead to sepsis, show their sensitivity or resistance to several antibiotics, and can identify sepsis caused by Candida fungal species. There are other diagnostic findings that indicate the severity of the patient's sepsis. Severe sepsis is diagnosed when the septic patient has organ dysfunction (for example, low or no urine flow, altered mental status). Severe sepsis can also include sepsis-induced hypotension (also termed septic shock) when the patient's blood pressure falls, resulting in decreased blood flow. In almost every case of sepsis, patients need to be hospitalized, treated with appropriate intravenous antibiotics (usually broad-spectrum), and given therapy to support any organ dysfunction. Sepsis can quickly cause organ damage and death; therapy should not be delayed as statistics suggest as high as a 7% mortality increase per hour if antibiotics are delayed in severe sepsis. Most cases of sepsis are treated in an intensive care unit (ICU) of the hospital by critical care medicine specialists, infectious disease specialists, and others as needed. 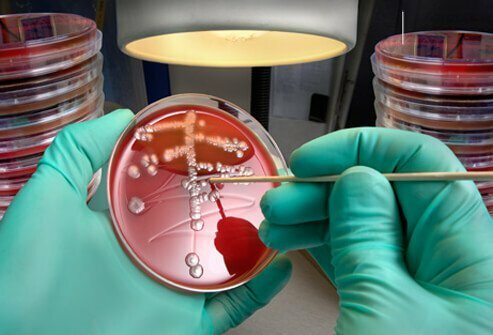 However, once the infecting organism is isolated, labs can determine which antibiotics are most effective against the organisms, and those antibiotics should be used to treat the patient. In addition to antibiotics, two other major therapeutic interventions, organ-system support and surgery, may be needed. First, if an organ system needs support, the intensive care unit can often provide it (for example, intubation [mechanical ventilation] to support lung function or dialysis to support kidney function) or a central venous catheter and fluid replacement with intravenous fluids and/or antihypotensive medication to raise blood pressure (norepinephrine [Levophed] or phenylephrine [Neo-Synephrine] administered by IV). Secondly, surgery may be needed to drain or remove the source of infection. Amputation of extremities has been done to save some patients' lives. Often, the first health care professionals to treat the patient with sepsis are the patient's primary care physician or pediatrician, often immediately followed by a specialist in emergency medicine. Almost all patients diagnosed with sepsis are treated in the hospital; there are no home remedies for sepsis. Hospitalists, critical care medicine physicians, and pulmonary specialists, infectious disease specialists, and occasionally a toxicologist or a surgeon may need to be consulted, depending upon the patient's condition and underlying medical cause of the sepsis. The prognosis of patients with sepsis is related to the severity or stage of sepsis as well as to the underlying health status of the patient. For example, patients with sepsis and no ongoing sign of organ failure at the time of diagnosis have about a 15%-30% chance of death. Patients with severe sepsis or septic shock have a mortality (death) rate of about 40%-60%, with the elderly having the highest mortality rates. Newborns and pediatric patients with sepsis have about a 9%-36% mortality rate. Investigators have developed a scoring system (MEDS score) based on the patient's symptoms to estimate prognosis. There are a large number of complications that may occur with sepsis. The complications are related to the type of initial infection (for example, in lung infection [pneumonia] with sepsis, a potential complication could be a need for respiratory support) and the severity of sepsis (for example, septic shock related to a limb infection that could require limb amputation). Consequently, each patient is likely to have the potential for complications related to the source of sepsis; in general, the complications are due to organ dysfunction, damage, or loss. Thus, some complications may cause long-term and life-changing problems. Death is usually due to multiorgan dysfunction (liver, kidney, or lung failure). Risk factors that lead to sepsis can be reduced by many methods. Perhaps the most important way to reduce the chance for sepsis is to first prevent any infections. Vaccines, good hygiene, hand washing, and avoiding sources of infection are excellent preventive methods. If infection occurs, immediate treatment of any infection before it has a chance to spread into the blood is likely to prevent sepsis. This is especially important in patients who are at greater risk for infection such as those who have suppressed immune systems, those with cancer, people with diabetes, or elderly patients. Dellinger, R., J. Carlet, H. Masur, et al. "Surviving Sepsis Campaign Guidelines for Management of Severe Sepsis and Septic Shock." Crit Care Med 32 (2004): 858-873. Kaplan, Lewis J. "Systemic Inflammatory Response Syndrome." Medscape.com. May 7, 2018. <http://emedicine.medscape.com/article/168943-overview>. Shankar-Hari, M., G.S. Phillips, M.L. Levy, et al. "Developing a new definition and assessing new clinical criteria for septic shock: for the Third International Consensus Definitions for Sepsis and Septic Shock (Sepsis-3)." JAMA 315 (2016): 775–787. Surviving Sepsis Campaign. "Guidelines." <http://www.survivingsepsis.org/Guidelines/Pages/default.aspx>. United States. Centers for Disease Control and Prevention. "Sepsis Questions and Answers." Jan. 23, 2018. <https://www.cdc.gov/sepsis/basic/qa.html>. What symptoms did you experience with a sepsis infection? Please describe your experience with blood poisoning. What was the treatment for your sepsis? Candida auris (C. auris) is a yeast that is resistant to many antifungal medications. Most C. auris infections occur in hospitalized patients. C. auris causes an invasive infection and has a high mortality rate. It's the MRSA Quiz! For the carriers among us, you'd be surprised that the infectious superbug is lurking on this body part! Take the quiz and learn how to keep this Staph infection at bay.